We’ve been helping Reggie maintain his bike since 2008. He’s had a tough time, sometimes homeless, sometimes not. Through it all, his bike has been an essential way for him to get to his construction jobs so that he could earn enough to get stable. In 2017 he had saved enough to invest in some upgrades, so we rebuilt his bike with parts we helped him buy to suit his needs. Still, like many people in Athens, there is no bike-friendly route between where he can afford to live and where he works. In October this year he was hit from behind by an inattentive driver on a fast-moving route into town. The crash cracked his pelvis and ribs, put him out of work, and destroyed his prized bike. Reggie has recovered quickly, and as I write this we are finishing up a new build that’s even better than before, but his only route into town is as harrowing as ever. Some of us are privileged to choose where we do and don’t ride; others have no choice and ride where they must. Affordable, safe transportation is a critical need for many people in Athens, where a quarter of households have access to one car or no car at all. This is why we strive to build equity in transportation, and will continue to advocate for a safe and connected city, repair bikes for people who need them, and teach safe cycling to people of all ages. Here is a summary of what we’ve accomplished in 2018 and where we plan to go next year. Fair warning, I’m going to ask you for money at the end. If you’d like to just get down to business, please visit bikeathens.org/give/money. If you ever watch the Mayor and Commission meetings you’ve probably seen executive director Tyler Dewey sitting in the front row, staying on top of our local government’s actions related to active transportation and transit. Along with board member Carol Myers, Tyler served on the citizens’ advisory committee for the bicycle-pedestrian master plan, better known as Athens in Motion, for over two years. 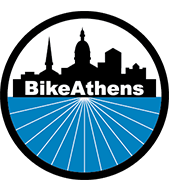 Athens in Motion was finally released in August and accepted by the commission in November, the first bike master plan update since 2005 and the first pedestrian master plan ever. We are excited to see Athens in Motion focus on creating low-stress streets, and we are proud to have played our part. This fall we hired a full-time program director, Scott Long, to manage the day-to-day operations of our very busy shop, allowing us to expand our service hours. We’ve been in our new location at 1075 West Broad for two and a half years now, and we are really hitting our stride using the space to its full potential. I am very proud of our paid and volunteer staff who, this year, have repaired and donated bikes to 116 adult clients and 48 kids, provided low- or no-cost service to 216 walk-in repair clients, helped 272 people fix their own bikes, and sold 136 bikes to pay the bills and continue the cycle. Through our Governor’s Office of Highway Safety education grant, we held 38 trainings, including one of Georgia’s only Ticket Diversion courses. We hosted 30 informational tables at community events. We directly taught 90 children and almost 200 adults about bike safety. In 2019, we plan to sharpen our focus on equity in transportation. Athens in Motion has objective prioritization and implementation criteria to help identify the most needed projects for our community. Transportation equity is an effort to deliver fairness and justice in transportation planning, funding, and implementation: the neighborhoods that need the most get the most. We will continue work to ensure Athens in Motion continues to center around equity. We need options—buses, bikes, sidewalks—that give people mobility and transportation options. Forty percent of Athens kids live in poverty. According to the Athens Wellbeing project, there is a dramatic racial wealth gap. Cars are expensive to own, operate, and maintain. In 2019, we will continue to insist that transportation planning and funding goes to those who need it most. We will use our increased service capacity to provide more bikes and bike repair service for those in need. And we will continue to teach people of all ages how to ride safely and with confidence. We need your financial contributions to continue our work to build equity in transportation in Athens. While nobody likes to hear the word “overhead,” the honest truth is we need to pay our staff for the good work they do, and we need to pay the rent for a place to do it. Our people and our place are essential to our success. It only takes a few minutes to make a one-time online donation or become a monthly supporting member at bikeathens.org/give/money. Or, you can mail a check to PO Box 344, Athens GA 30603. As always, we graciously accept any bike donations at 1075 West Broad Street. 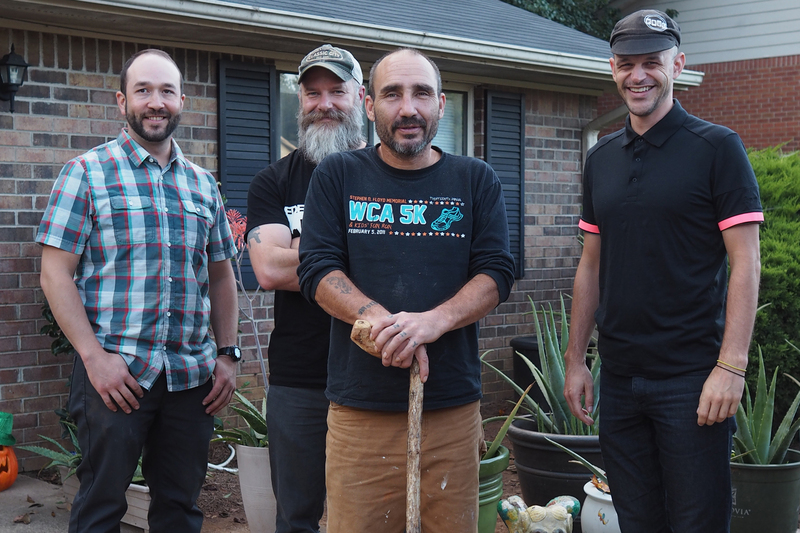 Learn about all of the ways you can donate at bikeathens.org/give. Temporary Ban on Birds and Bike Share Economic Development for Whom?